Around fifteen years ago I began experimenting with digital art. I didn't have any fancy tools or particularly sophisticated software but I was nevertheless fascinated by what I could create by simply using pixels as paint and my computer mouse as the brush. 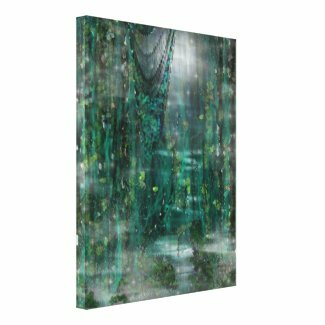 Some of my favorite creations from my digital art period are what I call my "Digital Dreamscapes". ﻿ They are landscapes that were inspired by memory, myths, fairytales, poetry and imagination. Unfortunately, minor health issues keep me from doing very much of this type of work these days. However, my time spent learning and exploring digital art continues to inspire and inform me in all of my other artistic pursuits. 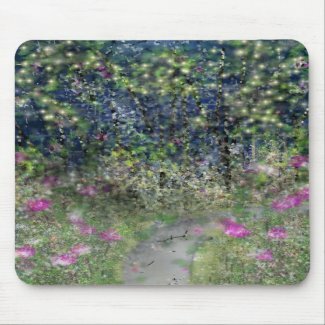 Click here to see all of my Digital Art on cards, prints & gifts at Zazzle.